This high quality polo shirt from Glenmiur has been expertly crafted to play golf. The shirt has stretch properties that ensures you can move freely during the golf swing, and still look your best. The material is lightweight and breathable, to keep you dry and less distracted as you play golf. 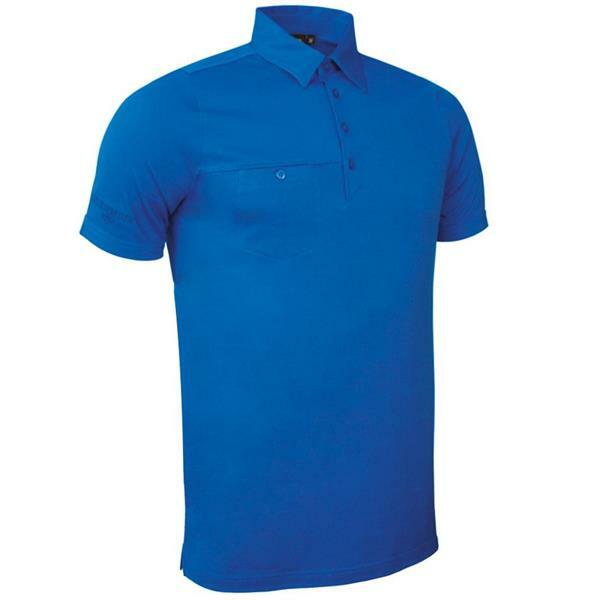 The design features a classic 3-button placket and pocket on right chest, plus has an anti-curl collar which is perfect for playing the sport of golf. Finer details include Glenmuir 1891 embroidery on the right sleeve, and has Glenmuir engraved buttons.